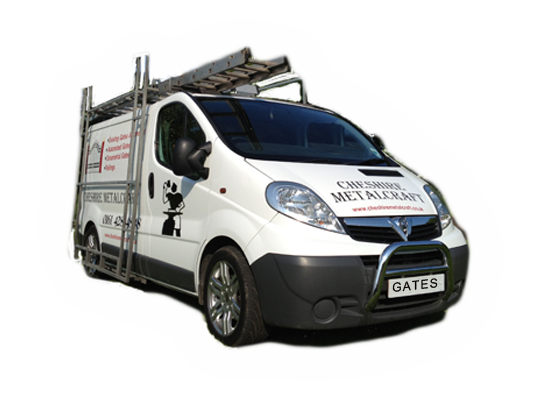 Cheshire Metalcraft are specialists in the design, manufacturer, supply and fitting of wrought iron products to domestic and commercial clients. We have extensive experience and a vast product portfolio for you to select from. We would welcome the opportunity to visit your property and provide help and advice on the products which will best suit your requirements. Not only are our estimates free within a 50mile radius of our workshop in Cheadle, Cheshire but also our installation service. We have many photographic examples of past installations to help you along with your own design ideas and only a limited number can be viewed on this website.